Need new sports or community facilities but have a tight budget and not sure how to achieve your dream building? Look no further than Modulek. Many schools and sports clubs are finding that they need to give their facilities a makeover. However they can’t face the risk of a traditional building being installed, where risks are huge, costs are hidden and delays occur, leading to a longer construction period than necessary. With modular construction, all these problems can be avoided, resulting in a building that is bespoke, built at a fraction of the cost and within a very tight time-frame. Modular sport buildings can be smart, flexible and adaptable and can be designed to suit you and your organisation’s needs. Take St George’s College, in Weybridge, Surrey for example. They wanted a building that was customised to be built in their bespoke ‘purple’ colours. The design team at Modulek spent many hours creating a building that incorporated the very unique purple so that it blended with already existing buildings. Modular sport buildings can also incorporate bespoke features to create a luxury building for players and staff. Many Championship clubs for instance, required buildings that fully cater for players, professional trainers as well as all the people that keep the team on the pitch, right from the CEO to the physiotherapists. To achieve this Modulek can create a bespoke design tailored to suit any club’s requirements. The flexibility and bespoke nature of modular buildings, means you can develop a range of facilities that will help improve player performance whilst making the building accessible for all. These can include hydrotherapy areas and saunas as well as large open plan changing areas. Whatever the requirements, Modulek will come up with a bespoke design to incorporate everything required, helping clubs, community facilities or school sports facilities achieve its sporting aspirations. We are fully aware of the need to protect the environment for future generations. Here at Modulek, we have adopted an environmentally friendly approach to our building projects. Thornden Tennis Club used an eco-friendly heat treated ThermowoodTM natural wood cladding that lowered the environmental impact of prefabricated builds, whilst creating a building that fitted in with its natural park surroundings. 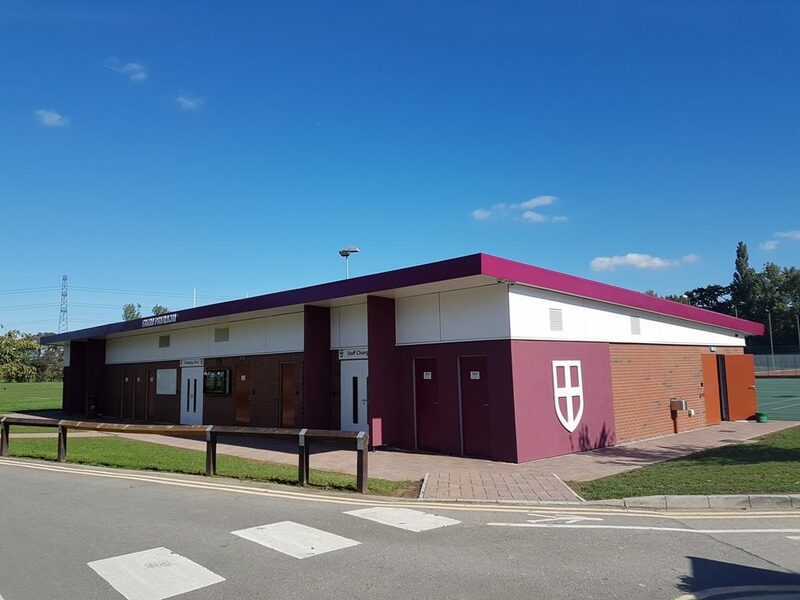 Team Dorset Athletics had a building that was clad in an eco-friendly, natural timber that was built in a sustainable manner, so the club was rest assured that their building will last for future generations. With Modulek, your club can be confident from day one that we will be building your building in a way that will be compassionate about the environment. Clubs such as Thornden Tennis Club, Redhill Park, St George’s Pavilion and Team Dorset Athletics incorporated features such as double-glazed windows, heat/cool air conditioning and insulation. This improved energy efficiency helps reduce the cost of utility bills meaning there’s more money available for sport development. Time is of the essence when it comes to installing new changing room facilities or club pavilions. For football clubs it is highly important to avoid disruption to the players’ training. Modulek can ensure teams continue playing and training by making sure that minimal disruption occurs and keep onsite groundworks to a minimum. All Modulek buildings are built in a controlled factory environment instead of on-site at the project location hence the term ‘offsite construction’. Because Modulek buildings are built offsite, fewer personnel are required on-site. There is no need for building material deliveries or noisy on-site machinery, reducing noise distraction to your club and team players. This is very important when it comes to buildings that are being constructed in a largely residential area. Redhill Park is located just near a housing estate and on a main road, and it meant that there were fewer disturbances caused to neighbours, allowing the building to be installed harmoniously within the surrounding community. Most clubs are trying to achieve Sport England Funding. We have won several projects for clients such as East Dorset Rugby Club, Thornden Tennis Club and many other clients who have been awarded Sport England Funding because they have opted to use modular construction.